Problem: Google Checkout is not successful. Solution: Free processing and other incentives for holidays. Problem: orkut doesn't do well in the US. Solution: make it available to everyone and integrate Google Talk. 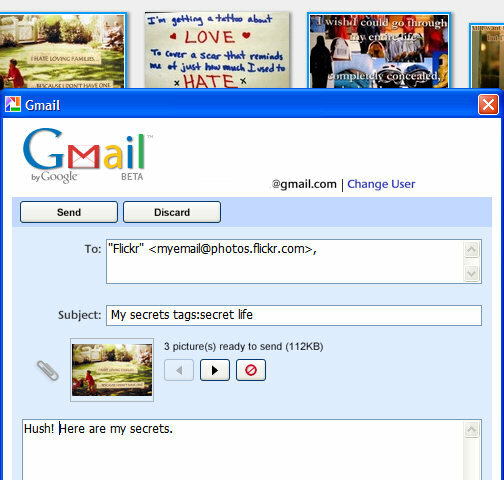 Problem: Gmail needs some Web 2.0 changes. Solution: a new design for displaying messages. Problem: Vista comes for Google Desktop too. Problem: Windows Live Local has click-to-call. Solution: add click-to-call to Google Maps. Problem: it's hard to read books in Google Book Search. Solution: new Adobe Reader-like design. Still few full-view books. Problem: very few people use Google Answers. Solution: delete Google Answers and come up with a better service. This time a free service. Problem: people want charts in Google Spreadsheets. Solution: new functions, easy-to-publish spreadsheets and an API. Also kill iRows. "This is sad. Yahoo Answers is pitiful. It should be renamed Yahoo Preteen Opinions, because that's the quality of "answers" one will find there. Unresearched, juvenile, illiterate, asinine, absurd, naïve, giggly, drivel is about the extent of what you will find there. Oh, but wait, at least they have disgusting, cutesy little avatars. OK, maybe it's not all that bad, but Yahoo Answers does not even come close to the quality of the Google Answers website. The only reason it has succeeded is that there are far more people wishing to hear free, feel-good, life-affirming drivel (and see cutesy avatars), than those who will pay for well-researched answers (life-affirming or not). Just sickening." No idea why, but people found my 10 tips for Google Image Search useful. I told you Google Spreadsheets is way ahead of Google Docs. Now you can update your spreadsheets programmatically using Google Spreadsheets API. You can use it to get a list of spreadsheets for an account, to add or delete rows from a spreadsheets or to send simple SQL-like queries. While the API isn't powerful enough to create desktop applications, as you can't manage spreadsheets, you could use the API to synchronize multiple spreadsheets or to import data from the web. The API uses Google Data, "a simple standard protocol for reading and writing data on the web". If you have a screenshot of a Google product taken in a special moment, if you found something interesting at Google.com and want to share it with the world, if you have a meaningful photo related to Google, post a link in the comments. The best photos will be a part of an album that will be available at the end of the year. * Don't submit copyrighted photos. Your photos will be licensed under Creative Commons ShareAlike license, unless you request otherwise. Please remove personal or sensitive information. Update: 12 pieces of Google. Google Reader shows more contextual actions for each feed. Now you can rename the feed's title and change the tags without going to the settings. And if you do go to the settings, Google Reader Team says everything will load faster. The new features were available last week for a while, but some problems with Internet Explorer 6 caused a roll back until they were fixed. If you have suggestions for Google Reader, check this wiki at Google Groups. John Chow has been invited to join Google Display Advertising Network, a new CPM network that uses image and video ads. "The Google Display Advertising Network was created so Google can go after Fortune 1000 companies, which buy advertising to build a brand more than to sell a product. (...) Every display network member negotiates a flat CPM rate with Google. The contracts are one year long and publishers have to guarantee Google that they will provide a minimum amount of ad inventory each month." There's no mention of this network on Google's sites and the only way to become a part of it is to be invited by Google. Google Spreadsheets continues to be surprising and miles ahead of the other half of the package, Google Docs. This is probably the biggest update since the product has been launched. 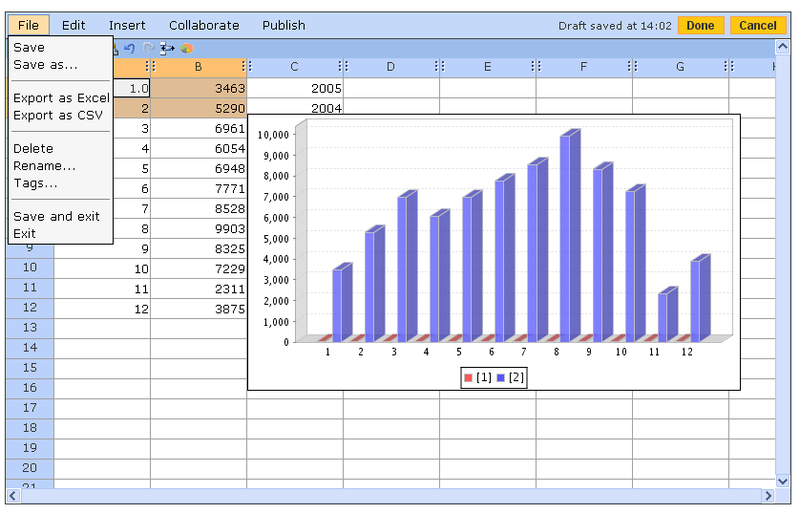 Now you can publish a spreadsheets in every imaginable format (HTML, PDF, XLS, ODS, CSV) or as a feed. What's great is that the file is automatically updated, so you'll be almost certain that someone gets the latest version. You can also publish all the sheets or only some of them. But the coolest thing you can do is to embed a spreadsheet into your blog or site. The spreadsheet you can see here shows the top 20 queries for this blog's search from April 1st until yesterday. * GoogleFinance("symbol", "attribute") that returns information about a stock. GoogleFinance("GOOG", "price") returns the current price for GOOG. * GoogleLookup("entity", "attribute") that returns answers to simple questions like: population of Italy, Jay Leno's date of birth, that usually appear at the top of search results in Google.com. GoogleLookup("Italy", "population") will return the population of Italy. Don't forget to place an equal in front of the function name. Google Answers, the service where you could ask questions in exchange of a sum of money, is now officially dead. "We considered many factors in reaching this difficult decision, and ultimately decided that the Answers community's limited size and other product considerations made it more effective for us to focus our efforts on other ways to help our users find information." The problem? While Google Answers is almost invisible, Yahoo Answers is a big success, produces results for many search results page and has a big community. The big difference between the two services is that Yahoo Answers doesn't involve money: no one pays or gets paid. But, as I showed in Asking the Internet, "while Google's researchers give more detailed answers, Yahoo uses the advantage of having a strong community" and sorts the good answers. "The quality of GA has become diluted with spam questions that are conceivably attempts from credit card thieves to verify the validity of stolen credit card numbers, webmasters realizing that a mention of their website in a GA question may boost their ranking in the search results (although this may have been resolved), and the disappearance of researchers." "It would be nice to think that G-A has itself reduced the demand for search assistance by demonstrating how to search and how to use search features that are not immediately obvious to the layman/woman). But it could be that people have just become more savvy to the system by themselves." "I think a big problem is that there is no obvious link to GA anymore from Google's homepage." "Maybe it has something to do with the fact that they're not accepting new researchers? I answered two questions (correctly, I might add -- one $5 and one $20) before I realized that I had to be a "researcher" in order to submit an actual answer (as opposed to a comment) and get paid for it." The problem seem to be that people don't want to pay some experts to get detailed answers, they just want simple answers from the man on the street. People don't have time to read books, newspapers with a lot of pages and long articles, but they're eager to watch reality shows. Listening people as clueless as you gives you a comforting feeling. Last Wednesday we had, here in Italy, some big troubles connecting to Google services; we have been disconnected for two days. It was a problem with some routers of our Telecom Operator. Let's call it SNAP (snap.google.com); a service that will present me with all the Google Services I'm subscribed to (personal web site, notes, Gmail, Picasa Web, Docs & Spreadsheets, etc. ), allowing me to choose the set of data I want to download to my PC for web backup purposes. I would like to be able to choose data to download based at least on size and age, but a combination of a lot of other switches is, for sure, welcome. The new version of the best free mobile browser is out. Opera Mini 3.0 includes a feed reader, makes it easier to share photos, has support for secure connections (SSL) and it's optimized for AJAX web pages. In addition to being slick, fast and easy to use. You can test it using this Java emulator on your computer or just point your mobile phone to operamini.com to download it. Opera Mini does a much better job than Google's transcoding and tries to keep the browsing experience intact, so you'll see a single page instead of multiple smaller pages, most of the time. New York Times reports that a select number of YouTube videos will be available next month to Verizon Wireless subscribers. Despite the fact that the service won't be free, YouTube expects to be successful. Modern people don't have patience anymore and don't know how to enjoy the rare quiet moments, so they'll go to YouTube on their mobile phone to view some funny videos. "Verizon Wireless and YouTube said the service would be available early next month. The companies would not discuss the financial terms of their deal but said Verizon would have the exclusive rights to distribute YouTube videos on mobile phones for a limited period of time." If the experiment is successful, expect more carriers to make deals for mobile YouTube videos. Yahoo Mail has become a little smarter. If you receive an email that includes addresses, Yahoo Mail recognizes them and underlines them, so you can easily view on a map, get directions or add to the address book. Yahoo Mail also underlines email addresses and phone numbers. Yahoo has a very broad definition for addresses because even country names are underlined. But instead of the "add to Address Book" option, you'll see search results. If you don't like the new features, you can go to Mail Options and turn them off. Gmail had this feature for a long time, but the integration is more subtle. Daylight Map is a segmentation of the Earth using the day/night criteria. You can add places on the map and even change the date. The site also shows you the local time for each place you add on the Google map. If you bookmark a permalink to the current state, you can check it later. I think this presentation is more attractive than some random world clocks. You probably know that if you search for [time in city-name], the major search engines show direct answers at the top of the page. The new Google Checkout site created for holidays is now live and includes a small selection of colorful, popular gifts. Google says thousands of merchants accept Google Checkout and, using this payment system, you'll eliminate 15 steps, on average. Another incentive is that you'll get $10 off purchases of $30, or $20 off purchases of $50 and more. You can also go to that site to make donations to charities: for the first donation of $30 or more, Google adds $10. * searching for products, you'll see a Froogle OneBox and a link to products that can be bought using Checkout. * you may see Google ads that have a small shopping cart. * stores that accept Checkout and search results that can be bought from these stores are clearly marked at Froogle. * many stores show a "Google Checkout" option. Many people have tried to find how Google ranks web pages. While the algorithm is still secret and in continuous change, we know it uses more than 200 signals, one of the most important being PageRank. As Google explains... "the heart of our software is PageRank, a system for ranking web pages developed by our founders Larry Page and Sergey Brin at Stanford University. And while we have dozens of engineers working to improve every aspect of Google on a daily basis, PageRank continues to provide the basis for all of our web search tools." Compiling the opinions of webmasters, search engine optimizers and Google's explanation, Google Ranking Factors - SEO Checklist is a long list of positive and negative factors that may influence a page's ranking. While the list contains a lot of interesting observations and suggestions, you should take everything with a grain of salt. Google's Master Plan, from the lobby whiteboard, has been erased two months ago. Chris diBona says: "It was getting kind of crufty." The mix of serious plans with geek humor shows a lot about Google's culture. From hiring hardware engineer to redesigning TCP/IP and HTTP, from the space elevator to buying AOL, from Google OS to Noosphere, and finally to saving the world. You can see the now-erased Master Plan in a series of photos taken by Chris diBona and licensed under Creative Commons Attribution-ShareAlike license if you go to this album (you should click on magnify button to see each photo clearly). Or you could check the plan in one single high-resolution image from Undergoogle.com. Here's an interesting new feature from Netvibes, probably the best personalized homepage. Now you can perform a search in all your feeds simultaneously. You can filter only recent content from your feeds, and also from other modules like Gmail or ToDo list. While searching your feeds is not something innovative, this feature is powerful because you can see each feed separately. But the fun starts when you add search modules for web search, image search etc. If you click on Search, you'll get results from all the search engines and for all the search flavors simultaneously. To see the snippets, you have to hover over each search result, but that's the price you have to pay in order to see all this information in one place. I know what Google would say: "but we have Google Ajax Search API", and it's very nice, but Netvibes' solution is simpler and works for almost any module. Life Goggles compares seven online video sites: YouTube, Google Video, MSN Soapbox, Revver, Blip.tv, MyHeavy and Vimeo. One video has been uploaded to all these sites and you can see the differences between embedded Flash players, the video quality and the information displayed next to the video. The only players that offer some information about the video are: Soapbox, MyHeavy and Vimeo, while MyHeavy lets you rate the video from the player. If we look at the video quality, Soapbox and YouTube seem to be the best and also the fastest. Revver is the only service that shows ads at the end of the video and does a revenue split with the publisher. The easiest to share are the videos from Soapbox, MyHeavy and Vimeo, that lets you copy the code directly from the player. Google Video only wins at simplicity and design. That means Microsoft's Soapbox has the best video player. For the moment, Soapbox is an invitation-only service. Good things are simple and come in small packages. If you wanted a plugin for your music player that finds and displays lyrics for your songs, Lyrics Plugin is a good answer. It's free, small (around 60 KB) and available for Winamp and Windows Media Player. You don't have to configure anything, the plugin works well out of the box. The drawback of this plugin is that the lyrics database is not very big, so you may still find famous songs that don't have lyrics. But it's easy to add them. Sometimes people forget to write descriptive subjects when they send mail. Sometimes they just drop some files there and send a message with a blank body. And if the attached files have names like 1.doc, your chances to find that mail later are almost null. Unfortunately, Gmail doesn't have an annotation feature that would let you insert some comments in a mail you've just received. To make sure you'll find that messages, you could send a reply to yourself that contains a small description of the attachments. It's a small compensation until Gmail has an option to search the contents of attachments. A video uploaded to Google Video, that showed four teenagers beating an autistic classmate, stirred a lot of comments in Italy, reports Reuters. Two Google employees are under investigation, as a result of a complaint filled by Vividown, an Italian association. "There was this very disturbing video which was posted on Google Video a couple of weeks ago and we promptly took it down when we were notified," said Rachel Whetstone, from Google. "In the footage the boy is taunted, insulted and kicked by one student in particular as others look on. The location seems to be a classroom and the people visible appear to be about 16 years of age." The phenomenon of bullying is not new, but these aggressive children who like to abuse weaker or powerless children find another cruel pleasure in showing the humiliation to the world. What nobody noticed is that Google is just an intermediary between those who upload videos and the viewers. It's difficult to check (manually or algorithmically) if a video violates copyright laws or other laws and regulations. And even if the video hadn't been hosted on Google Video, it would have been on other sites. In France, the producer of a film titled "The World According to Bush" wants 500,000 euros from Google, as his film has been uploaded to Google Video without permission. Flach Film, the production house, has an interesting point of view: "Google had not acted as a simple host but as a fully responsible publisher". They probably think Google has uploaded their film on purpose. These cases aren't unique. Last week, a Digg user found the animation film Cars available for free at Google Video. Google Video and other online video sites have a simple policy: users are responsible for the uploaded videos and if content owners complain, they'll take down the videos. Here's something interesting from TV's future: the Venice Project, "a secure P2P streaming technology that allows content owners to bring TV-quality video and ease of use to a TV-sized audience mixed with all the wonders of the Internet". The project tries to improve the TV experience by removing "artificial limits such as the number of channels that your cable or the airwaves can carry and then bringing it into the internet age; adding community features, interactivity". The new service comes from the same people that created Kazaa and Skype, Niklas Zennstrom and Janus Friis. For the moment, the Venice Project is in closed beta. Janus explains: "We are trying to bring together the best of TV with the best of the Internet. We think TV is one of the most powerful, engaging mass medias of all time. People love TV, but they also hate TV. They love the (sometimes…) amazing storytelling, the richness, the quality itself. But they hate the linearness, the lack of choice, the lack of basic things like being able to search. And wholly missing is everything that we are now accustomed to from the Internet: tagging, recommendations, choice, and so on… TV is 507 channels and nothing on and we want to help change that!" Mihai Parparita from Google created a brilliant Greasemonkey script last year. The script lets you right-click on a Gmail conversation and get a preview in a bubble. This way, you can read your mails faster, especially if you only want to read some of them. The new Yahoo Mail and Windows Live Mail have a reading pane where you can preview your messages, but that takes a lot of space. This solution has the advantage that it's available on demand. I know this is far from being new, but I've always wanted this feature in Gmail. Feed readers are a very inefficient way to keep up with the news. As most news sites and blogs have feeds, you might think you save time by adding your favorite sites to a feed reader. After all, you don't have to visit them ever again if they publish full feeds or only if you find some interesting if they publish partial feeds. A feed reader shows you the latest information from each site you've subscribed to. Often, many blogs discuss a single news, but you don't have all these posts at a glance. A feed reader should cluster related posts. You have a list of feeds, but you can't discover new feeds organically. Your list of feeds should automatically based on your preferences. There's no hierarchy in your feed reader. You may have only 5 minutes to find out what's new, but you don't know where to start. A good feed reader should rank posts and prioritize breaking news. If you don't open/visit a feed reader for a week, you may end up with hundreds of thousands of unread posts. You may want to mark all as read and move on, but what if you lose something important? A feed reader forces you to read (or scan) each and every post. Maybe there are other people with similar tastes that may help you improve your universe. A feed reader should automatically detect that and suggest posts that were considered interesting by your virtual group of anonymous friends. In most of these affirmations, I've described a typical feed reader. If you know one that does all of these things (or only some of them), let us know. Gaia is "an attempt to reverse engineer Google Earth and implement its functionality in open, portable, customizable and [extensible] way". Although the project is far from being completed, Gaia supports Keyhole authentication, 3D earth view, navigation, layers, NMEA GPS. It will be interesting to watch this project and the added functionality. Google Earth is a proprietary application that runs on Windows, Mac and Linux, but lacks a real API. An open source alternative to Google Earth is NASA World Wind, which, ironically, is a Windows-only application. Remember the gadget called "Interesting Items for You", that shows recommended web searches, pages and gadgets? Now you can also get video recommendations. And if you click on the thumbnail, a small video player will appear. It would be nice to see recommendations in Google Video. People are always happy to see there's something just for them on a site. The gadget for Google Personalized Homepage is available here. PortableApps Suite is a sort of Google Pack with portable versions for important software. You can get Firefox, Thunderbird, OpenOffice, Gaim, ClamWin Anti-virus and more in a single download and then copy these applications to your USB Flash drive. There's even a replacement for Start menu that lets you launch the applications. Andy Boyd spotted a new Google OneBox, for blog search, at the bottom of the search result page. The integration seems to be just an experiment and it's visible only to a small number of users. Google has recently added links to Blog Search in Google News. Google Book Search is a service that lets you search more than 500 million pages of scanned books and the number grows every day. But why would you need that when you could go to a library? Well, sometimes it's hard to discover books only from the title and description and once you discovered them it's hard to actually find them in libraries and book stores. 1. You have a quote from a book, but you don't know where it's from. 2. You have a quote from a book, and you want to find the context. Maybe you want to read the poem that contains the famous "eternal sunshine of the spotless mind". 3. Maybe you have a book and you want to read again a certain fragment. But it's hard to find it, even though you remember some keywords. 4. Search your bookshelves. You can't restrict the search to your books, but if you enter something unique (name of a character), you'll discover the book. 5. Search within books published in a certain year, to see different perspectives on a subject. 6. Find references from other books to a certain book. 7. Search for an affirmation or the prefix of an affirmation ("Paris is the only city..."). 8. Find contexts for rare or difficult words (ineluctable). 9. Read out-of-copyright books online or download them as PDF files. 10. Detect plagiarism, as this article shows. Examples and details for the implementation can be found in Google Data APIs Developer's Guide. Google's CEO, Eric Schmidt, wrote some interesting things in The Economist, and most of his beliefs are reflected in Google's plans. The lesson is compelling: put simple, intuitive technology in the hands of users and they will create content and share it. The fastest-growing parts of the internet all involve direct human interaction. Although Google doesn't want to admit they want to beat Microsoft, they bet on Internet's power to beat the desktop monopoly. There are new ads on Google Maps. Until now you could see sponsored links similar to the ones from web search, that sent you to a web page. But this new breed of ads is visible on the map and also has a distinctive icon. When clicked on the ad from the left sidebar, Google shows you information about the business and locates it on the map. While they have different icons and there's a clear label for "sponsored links", organic search results and paid results are treated the same. 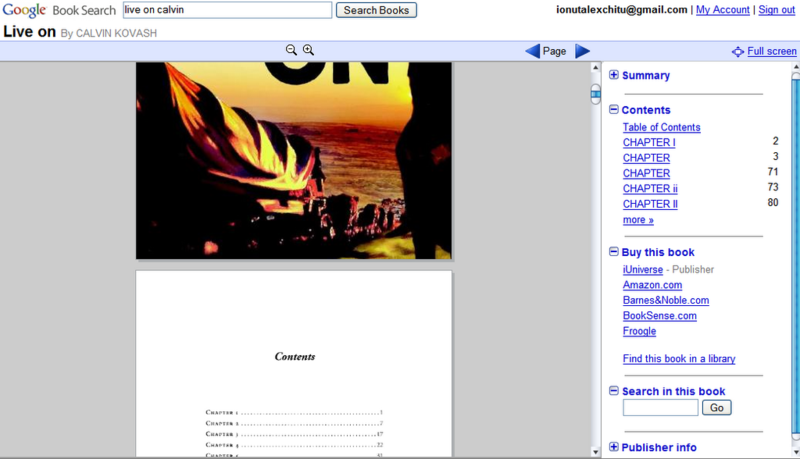 Google Book Search has a completely new interface that uses AJAX. Unlike before, you can read a book without clicking on the "next page" button. You can just use the scrollbar or the arrow keys, like in Adobe Reader. There are new options: zoom in, zoom out that increase / decrease the size of the text in a book, and there's even a full screen mode. The table of contents is displayed in the right sidebar, so it's easy to go to another section. Searching inside a book is much faster, as the results are displayed without reloading the page. Google offers for each book a dedicated page (like this one) where you can find the description, related books, references from books and scholarity works and some key terms that may help you discover other interesting books. Now you can actually read books in Google Book Search (of course, if copyright laws allow you). CNN Money reports that for the first time, Google stock jumped above $500. "Google is up more than 20 percent this year, far outperforming fellow Internet giants Yahoo!, eBay and Amazon.com, whose shares have all slumped in 2006. Google went public in one of the most widely awaited IPOs in recent memory in August 2004 at $85 a share." Google shares closed at $509.65. I don't see why the concept of private album should be debatable. An album is private if it can be accessed by the author and a list of persons invited by the author. Google decided to replace the concept of private album with unlisted album. Basically anyone can access that album if he knows its title and the Gmail address of the author or the URL of a public album. Google even suggested to choose strange names for the unlisted albums, so they're difficult to guess. http://picasaweb.google.com/[gmail address]/AlbumName?authkey=blabla, and denies you access if you don't specify that authentication key. But there's still a problem: anyone who enters the complete address can see the album, the address can be indexed by search engines if someone links to it. So much for a private album. I don't know why, but every news about Google Checkout has something ridiculous and earthly. But the latest news is just too much: "According to a new survey conducted by Harris Interactive and commissioned by Google Checkout, 40% of employed U.S. adults say they'll be doing at least some of their online holiday shopping from work this year, with 1 in 4 of those shoppers logging on to track down that perfect gift on Monday, November 27 (57% plan to shop during coffee and lunch breaks, while 34% will wait until the end of the workday)." So 10% of employed U.S. adults will try to find the perfect gift on Monday, November 27. And Google decided to launch a version of Checkout for holidays on Monday to capitalize on this. Buyers will get $10 off purchases of $30, or $20 off purchases of $50, while sellers get free processing. And everyone will be happy. Google executives thought this holidays are the last chance for Google Checkout and they'll do everything to make their product successful. "Trying to squeeze online holiday shopping into already busy schedules, shoppers will be looking for even more speed and convenience this year. And while there are many online shopping options to make finding the right gift relatively easy, online shoppers still have to deal with hassles, such as entering billing, shipping, and contact information multiple times as they move from site to site. Google Checkout eliminates an average of 15 steps from the online checkout process, in many cases making checking out as simple as entering a single login. This can save a lot of time for online shoppers, who will visit an average of 5.5 websites for holiday gifts this season, according to the survey." Squeeze, shoppers, hassle. More speed, convenience. Happy holidays! 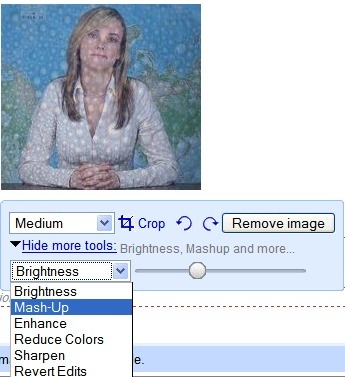 When you add a photo to Google Page Creator, you'll see new options. You can now crop a photo, rotate it, change the brightness, mix it with another photo, change the contrast, reduce the colors or sharpen the photo. Basically you can apply simple effects from your browser. In the screenshot below, I've used the mash-up effect. Now every page created in Google Page Creator can be easily accessed from a mobile phone, as Google redirects it to the transcoded version, the same way it does with the search results. Of course if you manage to enter the long URL correctly. 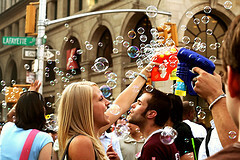 Chris L. found an option to get more storage in Picasa Web Albums. * Up to 250GB of storage space in your Picasa Web Albums account. No complicated monthly bandwidth limits to keep track of. Each year, we'll automatically renew your account. But don't worry, we'll always contact you with the option of cancelling before charging your credit card. You can always use your free Picasa Web Albums account without upgrading. These options seem to be available only for the US users. On the other hand, Yahoo Photos, that has been recently updated, has free unlimited storage and more features than Picasa Web Albums (like tags, ratings, search, photo editing, private albums). Here's one example for Stanford's site that uses Google Search Appliance: stanford.edu. Google already offers feeds for Google News, Blog Search, Google Video, so you can use the search results in your applications or sites. There's also a Google API for web search that uses SOAP, but it's limited to 1000 queries per day. Google JSON API is the foundation of SearchMash, an experimental site created by Google. The JSON object you get from Google has a list of members that are very easy to understand, like: estimatedCount (the number of search results) or results, which is an array that describes the search results. To make cross-domain requests, you may need to create a web proxy, like shown here. If you want to create pages or edit them, without anyone even suspecting you have a site at Google Page Creator, you have to go to "Site settings" and check "Hide this site". This way, none of your pages will be visible until you uncheck that option. It's also a good replacement for "Delete this site", because your uploaded files will be unavailable too. You can create four more sites, using one account. This feature was initially experimental, then it wasn't available, and now it's back. "Colorless green ideas sleep furiously" is a sentence composed by Noam Chomsky in 1957 as an example of a sentence whose grammar is correct but whose meaning is nonsensical, however some might argue that Chomsky simply wasn't imaginative enough to put the sentence into a context which would give it meaning. It was used to show inadequacy of the then-popular probabilistic models of grammar, and the need for more structured models. Most state-of-the-art commercial machine translation systems in use today have been developed using a rules-based approach and require a lot of work by linguists to define vocabularies and grammars. Several research systems, including ours, take a different approach: we feed the computer with billions of words of text, both monolingual text in the target language, and aligned text consisting of examples of human translations between the languages. We then apply statistical learning techniques to build a translation model. Say you want to teach a computer how to translate Chinese: You give the computer 100,000 sentences in English and the same 100,000 sentences in Chinese and run a program that can figure out which words go to which words. If in 2,000 sentences you have the word Washington, and in about the same number of sentences you have the word Huashengdun, and they occur in the same place in the sentence, these words are likely translations. So far, Google has released statistical machine translation systems for English <-> Chinese and English <-> Arabic, but more languages should be available soon. Universal Extractor is an application that lets you extract files from all kinds of archives and installers. You can use it to extract resources from Windows Installer files, Inno Setup and NSIS executables, InstallShield packages, MHTML files, Microsoft Compiled Help files, any archive type that can be extracted with WinRAR (rar, zip, ace, cab, 7zip, etc), CD-ROM images, Linux packages and more. I find this useful because it provides a consistent way to see files that contain other files. You may need to extract the files from an installer to create a portable version of an application (like this portable IE7), to read the help file before installing it or to get a file. Instead of using the command-line and different small utilities, you can try Universal Extractor, an open-source Windows application. 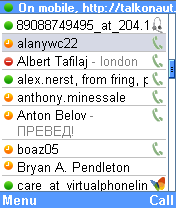 Expanding GTalk2VoIP, a service that lets you transform Google Talk into a true VoIP client, Talkonaut is a Java client that can be installed on your mobile phone and gives you access to Google Talk. As expected, you can use this service only for text messages. If you want to make voice calls, you can't do that for free. "Talkonaut utilizes callback technique to make voice calls. This means, when it is necessary, our system (GTalk2VoIP gateway) calls back to your mobile phone, then calls to your recipient, after that it merges two voice calls in one." Talkonaut works with any Jabber account and looks better than MGTalk, another mobile client for Google Talk, which is open source. In an interesting twist, Google China shows related searches at the bottom of each search results page. You can see the suggested searches for "censor" (someone who censures or condemns). As you might know, Google agreed to censor the search results from Google.cn. Remixing the search results might be the answer for a better search engine. SearchMash, Google's playground, has been updated and now includes results from blog search and video search, which are displayed on-demand in the right sidebar. Now when you choose to see the results from a certain type of search, you can still view the top results from the other search types. While Google's experiments are interesting, I think a better idea would be to integrate other search flavors into the main index and enable them if the query is appropriate. The Flash version of Yahoo Maps replaced the old-school version at maps.yahoo.com and got out of beta. Unlike Google Maps, the new Yahoo Maps lets you have "multi-point routing", so you can define a path using more than just two points and get directions. Yahoo Maps added street-level coverage for Europe for most capitals and other cities, but the coverage is inferior to Google Maps. Yahoo continues to have a distinct local search engine, so you can't search for businesses on Yahoo Maps. But you can find unrelated animated ads, though. I rarely do a search on my mobile phone, but when it happens, I want simple information. All the major search engines have a mobile version, so I decided to compare them. Google offers links to Gmail, Personalized Homepage and Google News and has mobile versions for web search, image search, local search, mobile and news search. Unlike the standard Google search, the mobile optimized version shows smaller snippets, adds numbers in front of the search results so you can use it as shortcuts, and renders the pages using a transcoder. Microsoft shows you information about weather, stock quotes and news. Instead of showing more types of searches, Windows Live has an universal search that groups web search, local search, news search and Space search (Microsoft decided to search only the blogs created on its platform). The result page shows you at most 2 results from each type of search, even if a search for "flowers" shouldn't trigger news results. Yahoo lists a lot of links on its homepage, including a link to Yahoo Search. Here you can find local search, image search and web search (in this order). Yahoo shows fewer search results and combines searching web pages with mobile web pages. When you click on a search result you get a warning that says "External web pages may not work with your phone" and this is quite true. Ask shows links to its services, including its various search types. While featuring fewer search results than Google, Ask shows options that can help you expand or narrow your query and more OneBox results at the top of the page. Ask also shows numbers next to the search results and has shortcuts. Ask is also the only search engine (from the four analyzed here) that includes a mobile version for blog search. Google and Ask.com have the most easy to use mobile versions for their search engines. Google has the best search results, but Ask has many smart answers that can help you a lot. Giveaway of the day is a site that offers one commercial software for free every day. The trick is that the application is available on the site for only one day. Until today, the site offered interesting software like the excellent file manager Frigate, but also many puzzles and screensavers. Today you can download LoadScout, a program that lets you view the content of a remote archive or the metadata of a MP3 file without actually downloading it. The authors of the site hope that "Giveaway of the day will allow both publishers and clients to meet each other and win together". So what do you think? Will this site succeed? Free utility for Windows 2000, XP - 585 KB. I've never liked Window's standard find dialog. You know that modal dialog that forces you to enter your query and press enter, while preventing you from using the application. Microsoft loved their tiny find dialog so much that you can see it even in the latest version of Internet Explorer. HandyFind is a free tool that lets you find as you type in almost every Windows application. And that includes Internet Explorer, Notepad, Word, or help files. The default shortcut that triggers a search is Ctrl-Space, but you can change that. What's really cool is that you can use it to search in applications that don't have a find feature, but contain text boxes. Whenever you write a blog post, there's a big chance your blogging platform automatically pings a dedicated server. 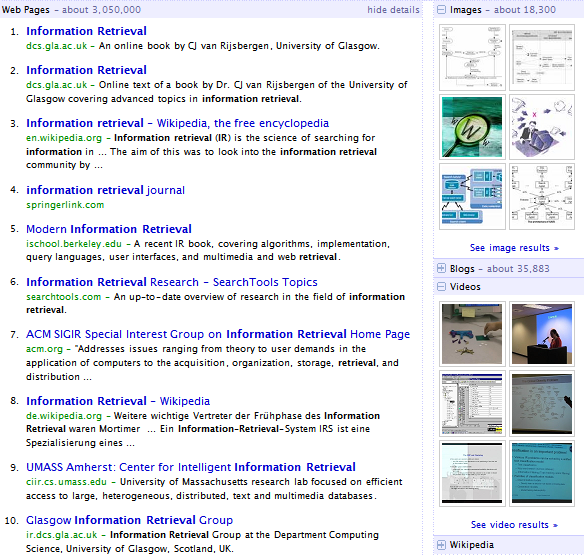 This way, a blog search engine (like Technorati or Google Blog Search) can discover new stuff to index. If you create a standard web page, and upload it to a server, no search engine will find out unless there's a link to that page somewhere or you manually submit it. Sitemaps protocol, developed by Google, and supported by three major search engines: Google, Yahoo and MSN, wants to overcome this problem. "A Sitemap is an XML file that can be made available on a website and acts as a marker for search engines to crawl certain pages. It is an easy way for webmasters to make their sites more search engine friendly. It does this by conveniently allowing webmasters to list all of their URLs along with optional metadata, such as the last time the page changed, to improve how search engines crawl and index their websites. Sitemaps enhance the current model of Web crawling by allowing webmasters to list all their Web pages to improve comprehensiveness, notify search engines of changes or new pages to help freshness, and identify unchanged pages to prevent unnecessary crawling and save bandwidth." There are many tools that can help you generate a sitemap for your site, including a Python script created by Google. The fact that Yahoo and Microsoft support this protocol is a big step towards a wider acceptance. Here are the announcements from: Google, Yahoo and Microsoft. Latte, a political blog, found in its logs this referrer: http://corp.google.com/~username/universalsearch/modes_v1/usability/rumsfeld.htm. As you can guess, this is an internal Google site. The blog is in the top 10 results for the query "Rumsfeld resigns" (albeit with an April Fool's Day prank), so his author thinks the blog is part of a test for a more comprehensive search engine, that will include fresher results like real-time news. Indexing pages in (almost) real-time is probably the dream of every search engine. Until that's possible, Google might try to merge some of its indexes and create one interface for all the specialized searches. And that could be Google Universal Search. TPC Fax is a free service that lets you send text faxes by email. It doesn't have a huge international coverage, but it works for most big cities. Adrian Hristov, who sent me this tip, has an interesting idea: what if you forward all your mails from Gmail to a fax number using this service? You could also use a filter to forward only some of the mails. Justin Uberti reports from Google's Kirkland office that Google Maps will soon include a new feature: click-to-call. If a business has a phone number, you'll be able to call it for free through Google. You just have to enter your phone number, Google calls the company and you'll get a phone call from that company (without giving your precious phone number to that company). The feature is already available in Windows Live Local. Update: the feature is live. Google Calendar has a new feature that lets you search public events. You can restrict your search to a location or a period. If you click on an event, you'll see details, the address and a map that shows you how you can find that address. It's easy to copy an event to your calendar. Even if you have a private calendar, you can mark certain events as public, from the privacy section of Options, so your events can be included in the search results. Google's implementation is nice, but not better than the community-driven Upcoming, where you can easily find interesting events in your area. Google hired the two people behind iRows, a startup that focused on online spreadsheets before Google did. iRows has an interface that tries to mimic desktop products like Microsoft Excel and includes features not available in Google Spreadsheets, like charts. When a giant like Google enters a market, it could mean trouble for the little guys, but it could also be an opportunity. It will depend on how good a job Google will do with their tool, and how good a job we will do. While they have more people and resources, I think we have more passion, focus, dedication and an attitude that is more responsive to our users. Let's wait for the waves to settle down, and see in a couple of month how the products are evolving. In September, iRows team ceased the development of their product because of the lack of resources. Our main challenge is money. We think we have a good product, many users, some of use the product extensively. But (and this is a big but) it is not generating enough money to keep us alive. Now Yoah Bar-David and Itai Raz, iRows' founders, are a part of Google. But you can still check an example of a iRows spreadsheet: iRows vs Google Spreadsheet Comparison, which is a little outdated. iRows will be available until the end of the year. Update: iRows founders say: "Being at Google will allow us to continue doing what we love to do best but on a much larger scale. There is a lot of exciting work at Google waiting for us." Google Desktop has a new version that includes support for Microsoft Office 2007 formats, Windows Vista and Firefox 2.0. But the most visible change is the new sidebar, that looks much better. You'll find transparent areas, new icons, easier to use options. All in all, the sidebar will look closer to the desktop and the gadgets will have a distinct touch. "The new Sidebar is transparent, so it fits seamlessly with your desktop environment. Gadgets that fought for attention now look right at home, and content-heavy gadgets get new frames and icons that make it easier to tell them apart. All of this leads to a better place to find your email, news, feeds, stock prices, weather and other essential information," concludes Google Desktop blog. Another change is that Google Desktop sends you to the cached version if you click on a search result that has been deleted or moved, so you no longer get an error message. The site: operator can now be used in Google Desktop, to search the web history. It will be interesting to see how many Vista users decide to install Google Desktop. As you know, Microsoft Vista includes a sidebar and has a built-in desktop search. So maybe we can expect more from Google Desktop 5.0. Google Desktop started as a desktop search tool available from your browser, and became a central point for user's information flow. One Checkbox, More Settings - a New Google Practice? Your favorite music player has new features that will help you organize your music collection. Using Enhanced Media Library, you can automatically get metadata for your audio files, get recommendations and auto-playlists tailored to your music tastes. MusicRank is a new feature that shows you the popularity for each song you play. * Enhanced Media Library and Hi-Fi Sound send usage data to our servers. [.] Enable Enhanced Media Library and MusicRank. [.] Disable Enhanced Media Library and MusicRank. It's nice that I am offered a choice, but why mixing something useful (Enhanced Media Library) with something less useful and potentially confusing (MusicRank)? Google does this in Google Toolbar for Firefox with PageRank and Enhanced Safe Browsing. They use two radio buttons instead of two checkboxes for each feature. They also do that in Google Toolbar for IE, where there's a single checkbox for two options: "Set Google as default search and notify me of changes". In the same IE toolbar there's a single option for "PageRank and page information", where page information include the cached version of the page and links to the current page. Why mixing a feature that sends data to Google (that is PageRank) with other harmless features? Google Desktop also has an option for "advanced features". But what are these options? "Information about web pages you visit may be sent to Google to personalize features such as the news shown in Sidebar. Other non-personal usage data and crash reports may be sent to Google to improve Desktop." But Google mixes a lot of things in this broad definition. It would be nice to have separate options for news personalization, crash reports etc. Hunter Walk, product manager at Google Video, talked to Beet.tv about advertising and search in Google Video. Google looks at the metadata provided by the video's author, the data provided by the community (labels, comments) and tries to analyze the video in order to understand it. When talking about content analysis, he gives as an example speech-to-text, and that might mean Google will incorporate that explicitly in the future. * Rumsey Historical Maps: 16 maps that show different regions of the world between 1680 and 1892. 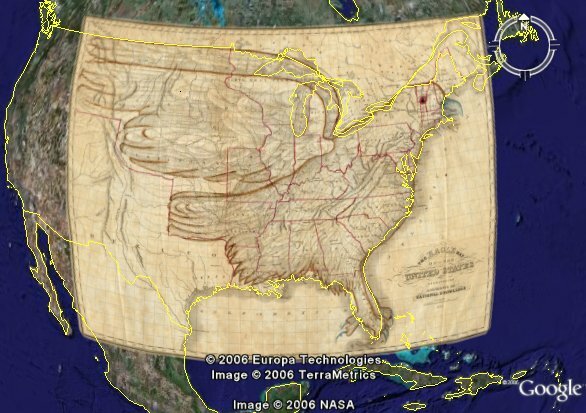 If you want to see more maps from David Rumsey Historical Map Collection, you can visit this site. * Tracks 4 Africa: roads, points of interests and beautiful pictures from Africa. You can use it to learn more about this continent. * Spotlight on Africa: flags and information from CIA World Factbook for each African country. 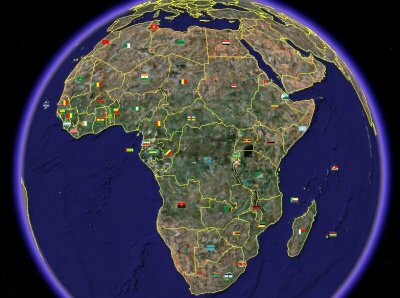 * National Geographic Quiz on Africa: test your Africa IQ, by answering 10 multiple-choice questions. If you can't find this layer in Google Earth, you can add it from here. * European Space Agency: interesting images of the Earth seen from space. All these layers and many others can be found in the Layers sidebar, Featured Content section. As reported in September, Google Apps for Your Domain now includes a personalized homepage, "a central place for your users to preview their inboxes and calendars, access your essential content, and search the web". The page is similar to what you see in Google's IG, except that administrators have more control over the page. They can lock down the left column, provide a list of recommended gadgets and change the logos, colors, and fonts. For more information about the personalized start page, visit the help center. 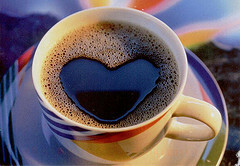 Sun decided to release the code for Java under the version 2 of the General Public License. Programmers can choose a different license for their applications. "In the case of Java SE (Java Standard Edition), we're enhancing (the GPL) with the classpath exception. So when you're working on top or shipping applications with the (Java) libraries and virtual machine, you're not affected by the Java license," said Rich Green, Sun's executive vice president of software. The reason why Java hasn't been open sourced until now was the code forking and compatibility problems that could result from that.